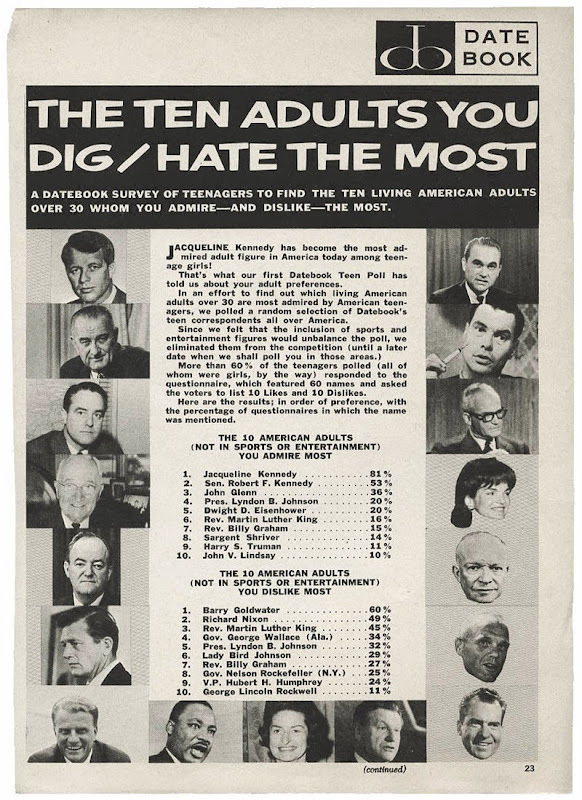 Tattered and Lost EPHEMERA: Who do TEENAGERS DIG or HATE THE MOST? It's the 1960s; somewhere between 1964 and probably '67. 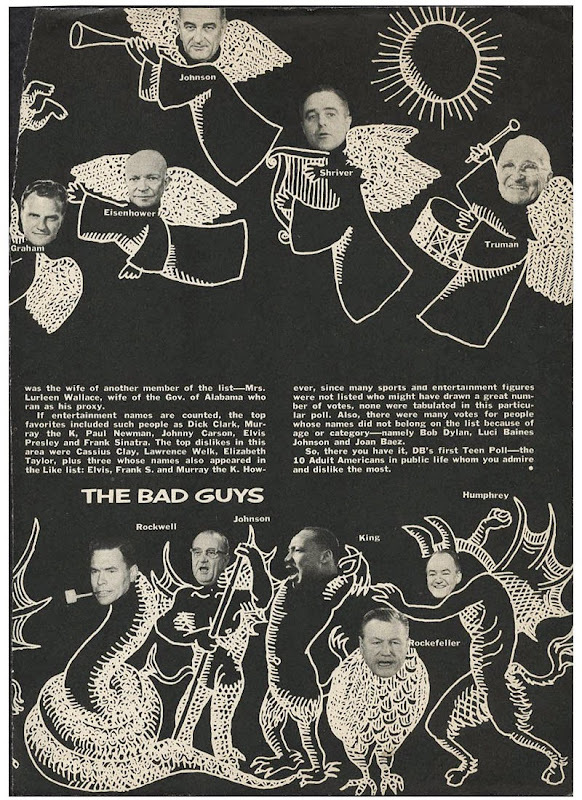 If you were a reader of Datebook magazine you were shown exactly who your peers dug and hated. Imagine such a poll today. The putrid spilling of illogical hatred would be overwhelming. 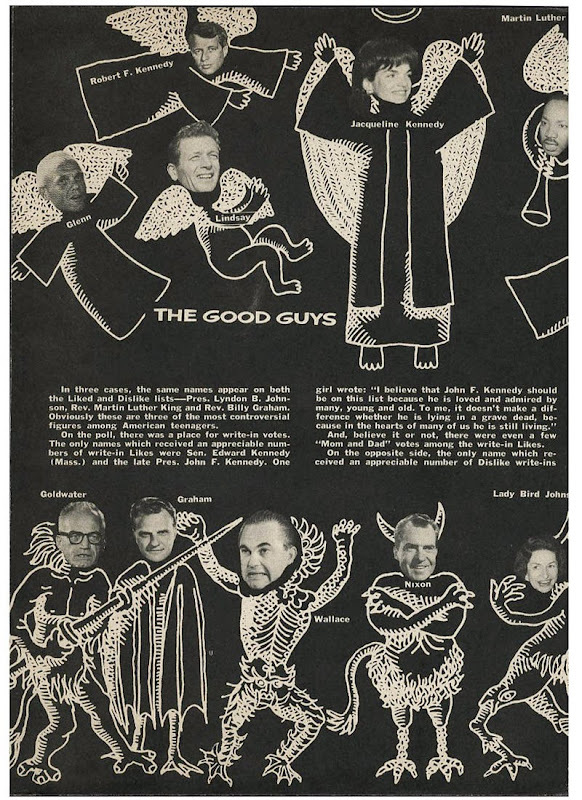 It's been too long, T & L, and as usual you have some fascinating stuff. Interesting that MLK was among the most disliked.